How much money did I Loose ? stole $100 from the register without my knowledge. I gave him back $30 change. How much money did I Loose ?? 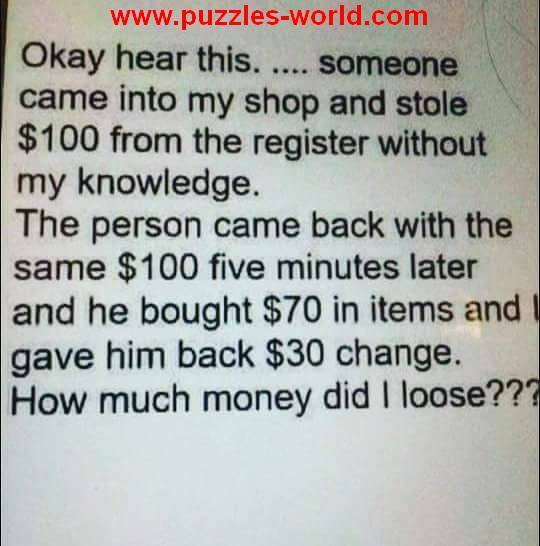 Take some time to think and try to answer correctly !! $70 in Items and $30 change.